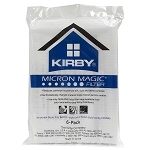 Make sure your Kirby vacuum is working efficiently by investing in genuine Kirby vacuum bags. Your Kirby system is designed to last a lifetime, make sure you do all you can to help it continually work hard in your home. 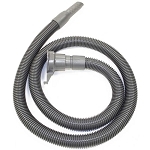 The filtration on these bags are rated HEPA filtration and CRI certified by the Carpet and Rug Institute. 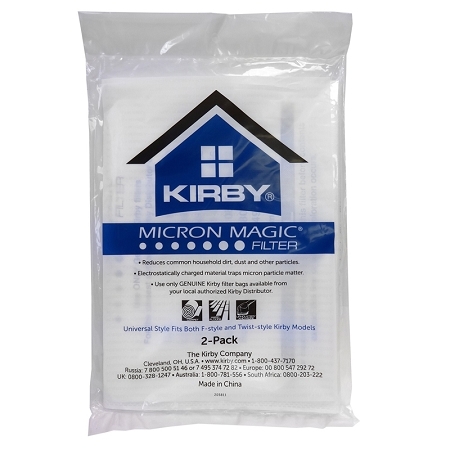 These Kirby vacuum bags are sold in 24 pack with a discount, standard 6 pack and a 2 pack. These are the cloth material bags which are rated HEPA 11. These bags also are CRI certified for indoor air quality. I can really tell the difference when vacuuming using the Allergen Reduction Filters. Q: Are these the cloth bags? 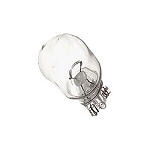 Q: Where on your list here do I order Sentria Model G10D filer bags, style F?